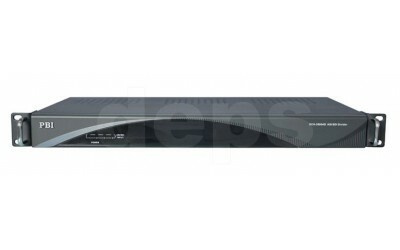 DCH-2000AD is a high-density active DVB-ASI/SD-SDI signal splitter, which can duplicate one SDI (SMPTE 259M) or DVB-ASI (EN50083) signal to 4 or 8 signals. 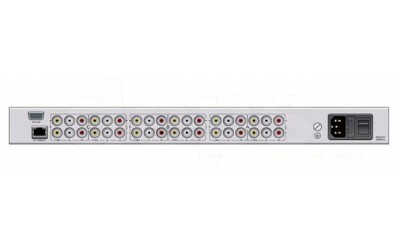 In each 1RU unit, either 4 groups of 1 to 4 splitter or 2 groups of 1 to 8 splitter can be implemented. It provides clock regeneration and equalization of the input signals and it allows more than 100 meter signal distribution. 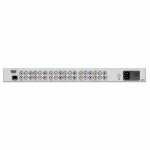 DCH-2000AD is a reliable ASI/SDI signal splitting device that could be widely used in broadcast system redundancy.